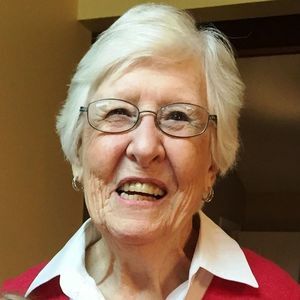 Mrs. Martha Jo Rogers, age 89, of Murray, Kentucky, died on Sunday, January 27, 2019, at the Paris Health Care Nursing and Rehabilitation Center in Paris, Tennessee. Mrs. Rogers was born on March 29, 1929, in Calloway County, Kentucky to the late Elmo Fain and Potter (Key) Fain. She was a homemaker and member of the Martins Chapel United Methodist Church. In addition to her parents she is preceded in death by her husband, Carrol Martin Rogers; one sister, Melba Ward; and two brothers, Dan Fain and James Fain. Survivors include her daughter, Deborah Doron and husband Gail of Murray, Kentucky; three sons, Steve Rogers of Cadiz, Kentucky, Terry Rogers and wife Carol of Murray, Kentucky, and David Rogers of San Diego, California; one brother, Billy Pat Fain of Florida; four grandchildren, Michelle Flota and husband Ryan, Krista Hatchett and husband Bill, Justin Rogers and wife Kimberly, and Michael Rogers and wife Stephanie; thirteen great-grandchildren, Reese Downey, Easton Downey, Ava Claire, Liam Flota, Presley Hatchett, Shelby Hatchett, Hadlee Rogers, Laynee Rogers, Kynlee Rogers, Koen Rogers, Remee Rogers, Carter Neal, and Brady Rogers; also several nieces and nephews. Funeral services will be held at 11:00 a.m., on Wednesday, January 30, 2019, at the J.H. Churchill Funeral Home with Rev. Tim Escue and Bro. Gary Vacca will officiate. Burial will follow in the Murray Memorial Gardens. Visitation will be held from 4:00 p.m. – 8:00 p.m., on Tuesday, January 29, 2019, at the J.H. Churchill Funeral Home. Expressions of sympathy may go to Martins Chapel United Methodist Church, 1619 Martin Chapel Road, Murray, Kentucky 42071.